Authentic Mexican food pays homage to the foods and ingredients that Mexico has given to the world. 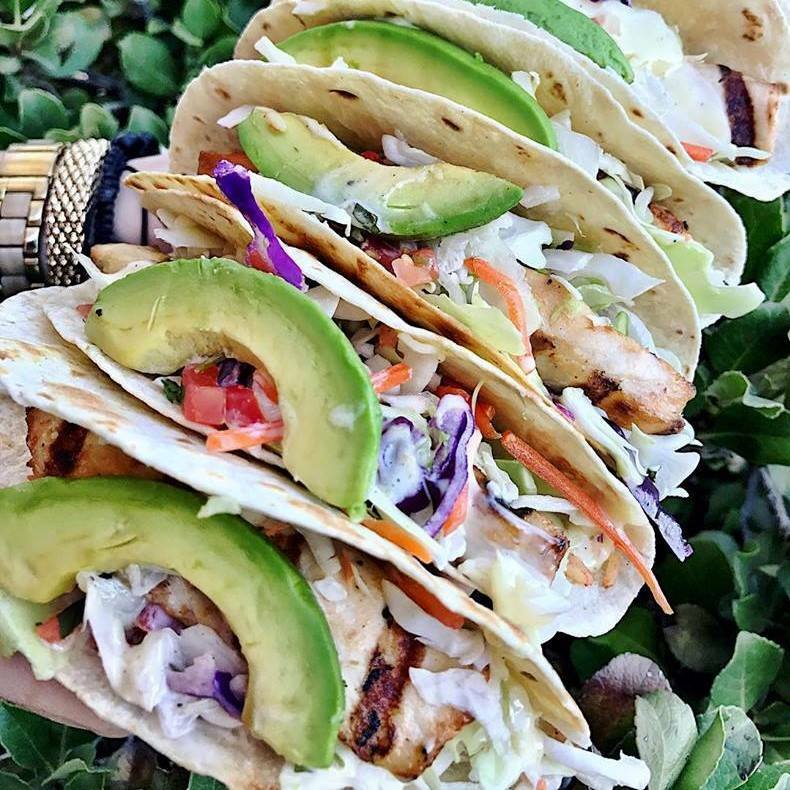 You can find the best authentic Mexican food in Henderson right here at Borracha. We offer delicious dishes featuring slow-cooked short ribs, made-from-scratch tortillas, and more. If you look closely, you’ll find many of these authentic Mexican foods and ingredients in every dish. Agave was long considered a sacred plant in Mexico. It played a central role in religion, and pulque, an intoxicating drink made from agave, was produced. It is believed that Mexicans produced this drink as early as in the 1500s. That distillation process spread from southern Mexico throughout the country, and then eventually throughout the rest of the world. Love avocado toast and guacamole? We owe the avocado to Mexico. The Aztecs believed that avocados provided humans with strength, and they grew and favored the fruit. In fact, the state of Michoacan has an ideal climate for growing avocados, and the fruit is grown year-round in this unique location. Corn has grown in Mexico for over 10,000 years. Ancient civilizations like the Aztecs and Mayans viewed corn as a sacred plant. Today, there are approximately 50 different varieties of corn. It continues to play a central role in Mexican food. Cacao, the seed from which we make cocoa, cocoa butter, and chocolate, has long been grown in Mexico. Ancient civilizations grew cacao and used it as currency, to create a bitter drink, and even in rituals. When the Spanish arrived in Mexico, they brought cacao back to Spain. It was only then that the cacao was combined with sugar and cinnamon, making a product that resembles today’s chocolate. Chapulines – also known as grasshoppers – are a traditional Mexican snack that have been a popular Mexican food for thousands of years. Prepared with salt, lemon, garlic, and chili, chapulines have a long shelf life and can be eaten dry as a snack, or fried. While the exact history of papaya is a little foggy, the general consensus has the fruit originating in Mexico. Explorers then brought the fruit with them to other countries. Most of the world’s papayas are still grown in Mexico. When the Spanish began to explore the New World, they found peanuts being grown in Mexico. The Spanish then took peanuts to Africa and Asia, and when African slaves were brought to North America, they also brought peanuts with them. Since then, peanuts have been grown in America, with a surge in their popularity and a focus on their growth in the early 1900s. Not only are tomatoes a key ingredient in many Mexican dishes, but they have a long history in the country. When the Spanish arrived in Mexico, they thought that tomatoes were poisonous. However, they eventually learned that tomatoes were edible. Tomatoes are the basis of salsa, and are sometimes cooked into rice dishes. Even vanilla comes from Mexico. Vanilla was considered sacred, and it was used in ritual offerings. It wasn’t until the 1400s when the Aztecs combined vanilla with chocolate that it was really used as a flavoring. Soon, vanilla became a favorite beverage of European royalty. Mexican vanilla is still regarded as having the best flavor and fragrance in the world. Chili peppers are native to Mexico and are integral to Mexican dishes. Chilis are toasted, ground, or soaked, and are incorporated in countless dishes including salsas, moles, and soups. Chia seeds were originally grown in Mexico and the Mayans and Aztecs viewed these seeds as having supernatural powers. Today, the seeds mixed into lime or lemon juice to create the Mexican drink chia fresca. Mezcal spirits are distilled from agave. When the Spanish conquistadors arrived in Mexico, they taught the Mexicans distillation techniques. Mezcal was the first spirit to be distilled. Today, Mezcal can be created from 11 different types of agave, such as azul, blanco, tobala, and more. The agave is roasted in underground pits and distilled in small copper pot stills. You’ll find many different variations of Mezcal, based on the different types of agave used. Even tequila originated from Mexico. The town of Tequila was founded in 1656, and Jose Cuervo became the first company to commercialize tequila. Today, tequila production is highly regulated to particular regions of Mexican states. While the origin of Tejuino is unclear, this drink is commonly found in western Mexico. The drink was produced before the Spaniards arrived in Mexico, and its fermentation properties made it popular because of the probiotic benefits. 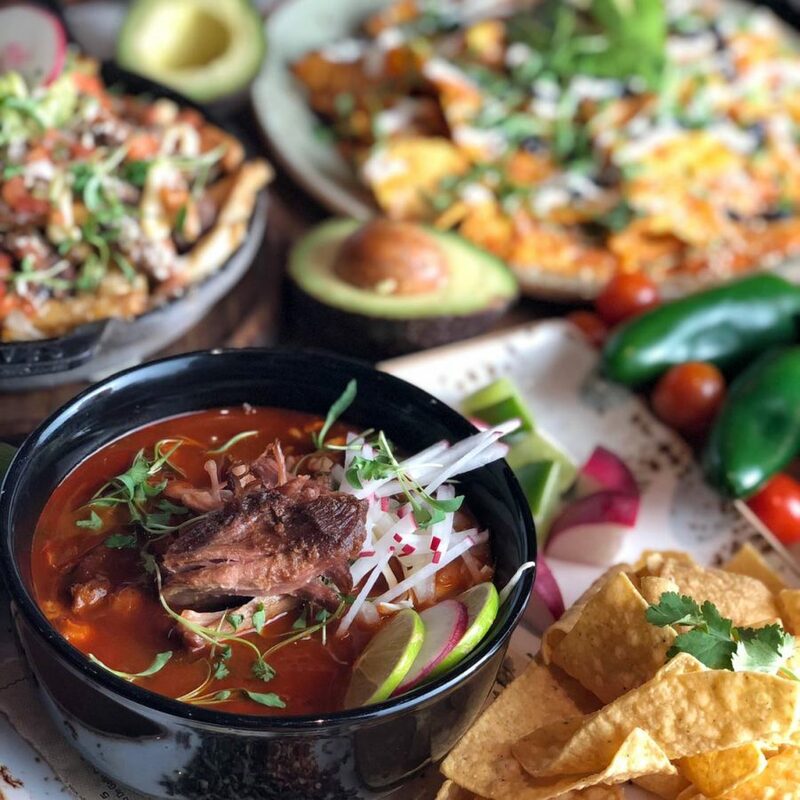 It’s no secret that Borracha offers the best authentic Mexican food in Henderson. You’ll find many of the above foods and ingredients on our menu, and all of our dishes are absolutely full of flavor. 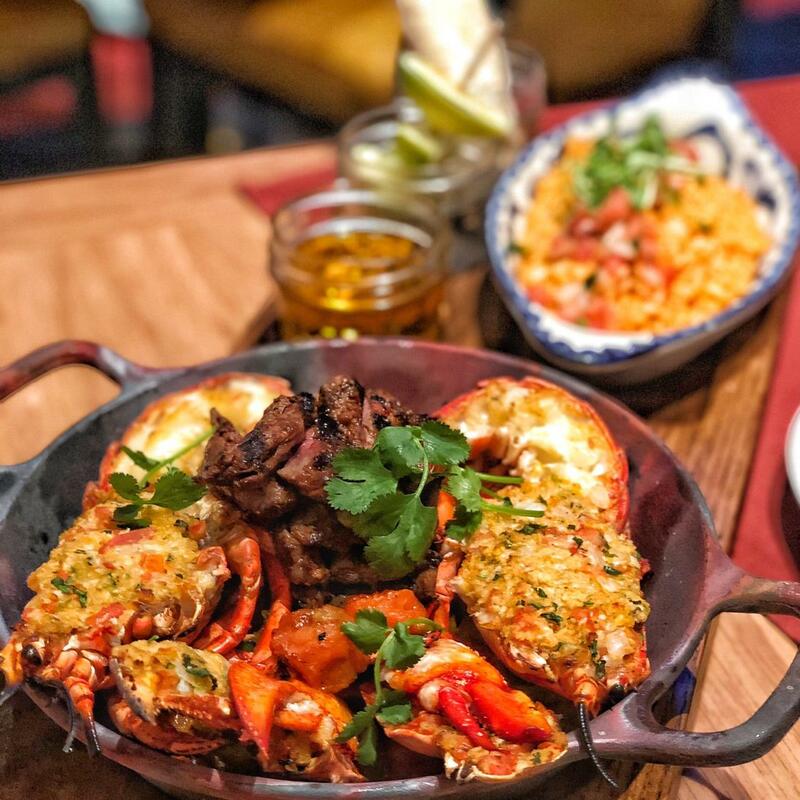 Treat yourself and your friends and family with a trip to Borracha. Make a reservation and come enjoy some delicious authentic Mexican food right here in Henderson, Nevada.